Obituary for Lelia Banks | L.E. 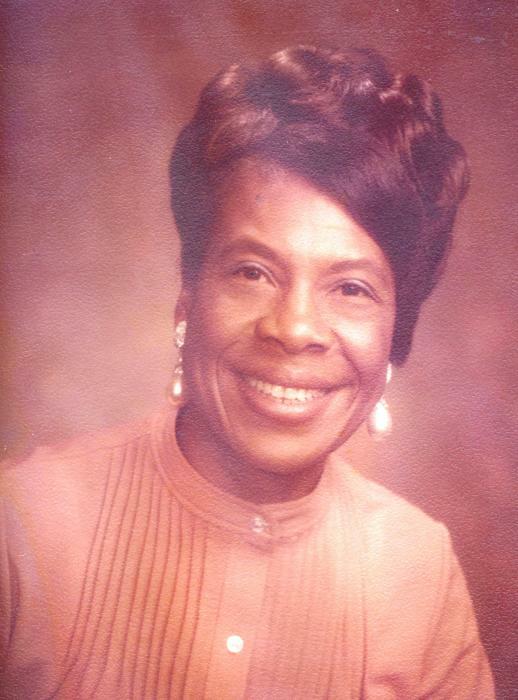 Black, Phillips & Holden Funeral Home Inc.
Ms. Lelia Banks, 88, of Warren, formerly of Niles, peacefully transitioned from pain into the Loving arms of her Lord and Savior Jesus Christ as she slumbered in Trumbull Memorial Regional Medical Center on Friday, March 22, 2019. Lelia was born July 1, 1930 in Uniontown, Alabama. She was one of nine children born to Luke and Rebecca Parker Banks. The family moved to Everettsville, West Virginia in the early 1940’s. She was a 1950 graduate of Monongalia High School and came to this area 65 years ago. “Aunt Sister”, as she was lovingly known to her beloved nieces and nephews, spent the majority of her life working and striving to shower generous love and gifts on the children in her family. Lelia retired from General Electric after 23 years of employment. Her other places of employment included Moyer Pants Company, Kaufmann’s Distribution Center and Macy’s Department Store. She was a longtime member of Greater Friendship Missionary Baptist Church where she served on the Levite Usher Ministry and was a member of the church bowling league. She treasured spending time with family and developed delight in bingo while being a resident in assisted living. Saddened hearts left to glory in her victory over illness and pain include her niece and her husband, Genevieve and Thomas E. Taylor, who were her caregivers; a multitude of nieces and nephews including, Carolyn Nicholson whom she mentored; a brother-in-law, Jack B. Robinson, Sr.; and a host of other loving family and friends. She was preceded in death by her parents, five sisters, Bettie Hopkins, Henrietta Young, Geneva Reynolds, Cleo Robinson and Inell Robinson; and three brothers, Louie, Eugene and Wilbert Banks. The family wishes to thank Clearview Lantern Suites for their care and compassion during Lelia’s stay at their facility, as well as Shepherd of the Valley Rehabilitation Center in Howland.